Updated 8/13: Small and large mystery add on spoilers have been added, and we are now up to four different mystery box versions. 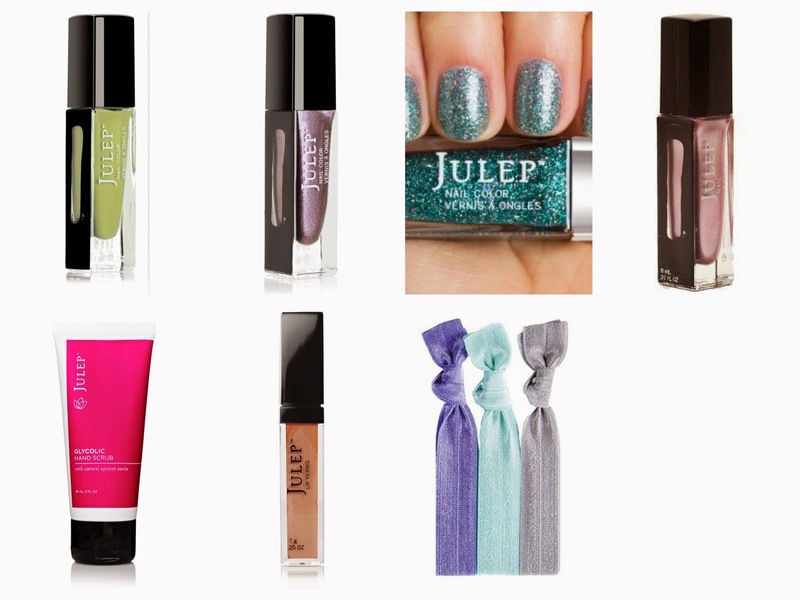 The Julep 100 Degrees of Mystery Box spoilers are here, just a day late after the box was marked out of stock. But, if you already ordered one, here's what's in it! 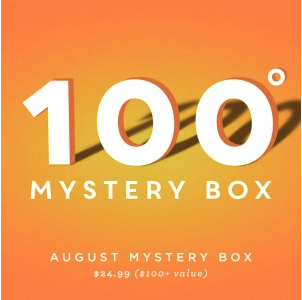 What do you think of the 100 Degrees of Mystery Box spoilers? Let me know in the comments! Do you think there will be different versions of the box? I saw someone on FB say they saw box #3. I have no way of knowing, but I don't think so. But seeing some of the packing issues this month, who knows what could be in there! Any news on the add-ons? I feel your pain. I had the exact same thoughts. Max is a really cute polish, but the others are meh and I won't use the lip gloss in that dark of a color (wouldn't look right with my skin tone) or the primer. Oh well. I think I'm going to sit out of the next several mystery boxes. I don't think many have received theirs yet, so the gift cards may surface next week. I won the gift card. I'm so excited! 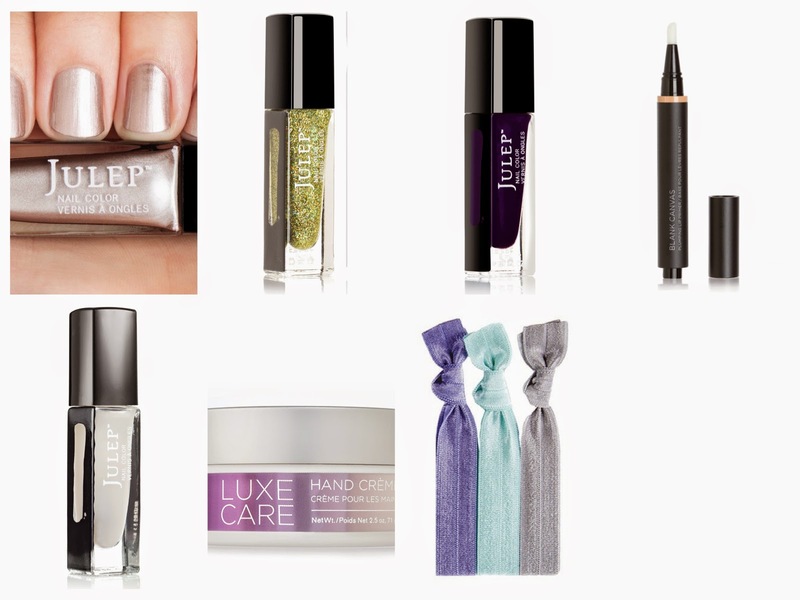 I got Annika, Shoshanna, and Padma; a matte top coat; Blank Canvas Lip Plumping Primer; two twistbands (silver and purple); and Luxe Care Handcream. Here I worked myself up to convince myself that there were good things to be found in box #1...only to discover there are two more versions.. :). Oh my! Now it really is still a mystery as to what I'm getting! I'm hoping for #3! Thank you for the spoilers! You're welcome, I hope you get #3! I got the $14.99 mystery add-on. 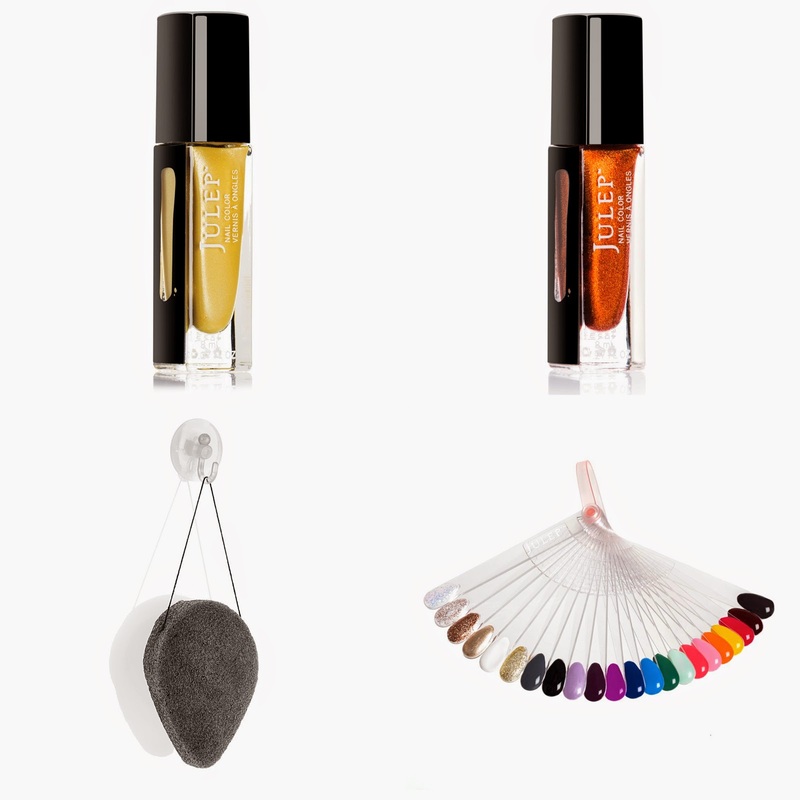 It was 3 polishes (Nadia, Tatiana and Brigitte), a Konjac face sponge, and a color fan. Really disappointing! All 3 polishes have been on sale or in past mystery boxes, so I imagine almost everyone who got the $14.99 add-on got 1 or 2 repeats at least. Thanks for the spoilers, I'll add these to the post. Ugh yeah it seems most people are getting version 1. I don't know why they bothered doing other versions. Either that or the people who don't read these spoilers and aren't in swap groups are getting all the good boxes. Haha. 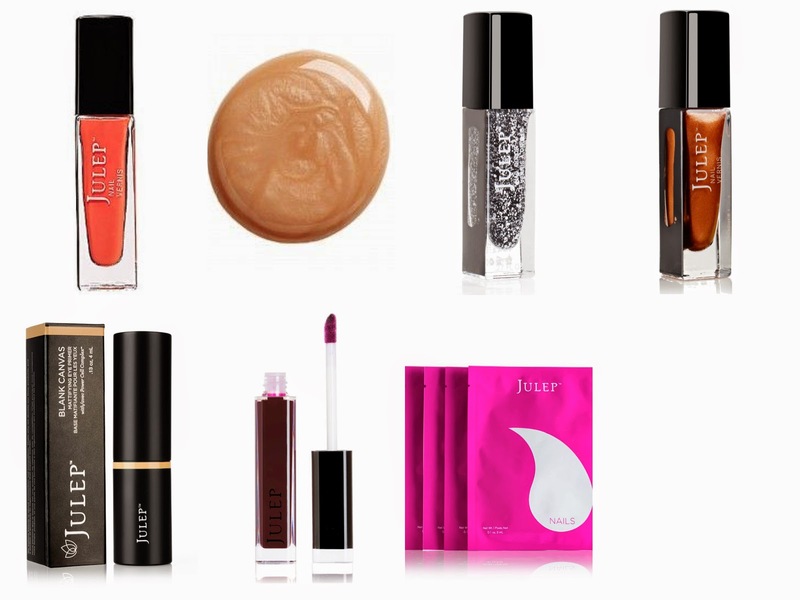 lol I don't understand why they would put the color fan in the add on if it's already in one of the boxes...I think Julep needs a vacation to pull themselves together. They are a great company but they really need to sit back and look at the big picture and figure out how to fix their big problems. I completely agree. I refuse to order anything from them until things improve. Where are the 100 gift cards? I haven't heard of anyone winning yet, but I'm sure they'll start showing up soon! 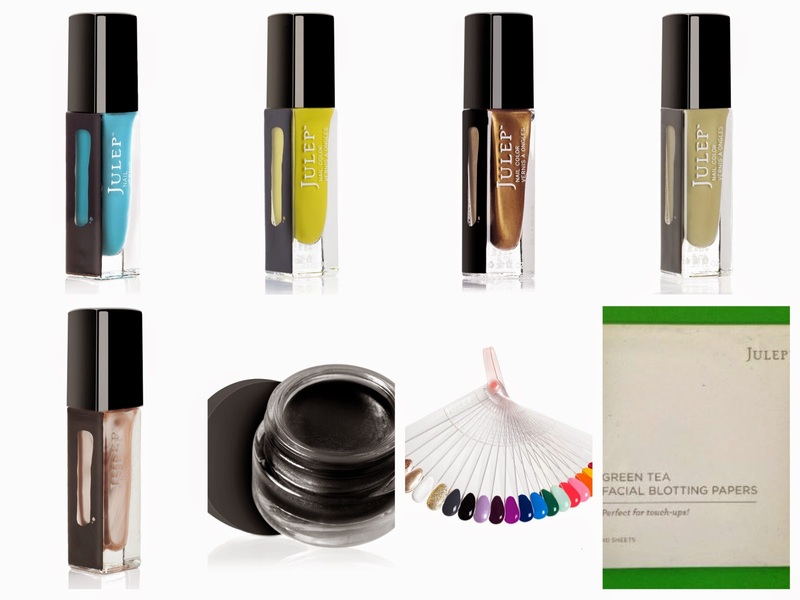 I ordered the major add on without bridgette and julep said it doesn't include her . Good to know, I was adding up the value of that add on and it seemed like it was a little high. I got version 1 and was completely disappointed!! It was MISSING the lip gloss AND the eye primer!!!! So all that came in my mystery box that was suppose to be worth $100 was 4 nail polishes and 1 package of nail mask... 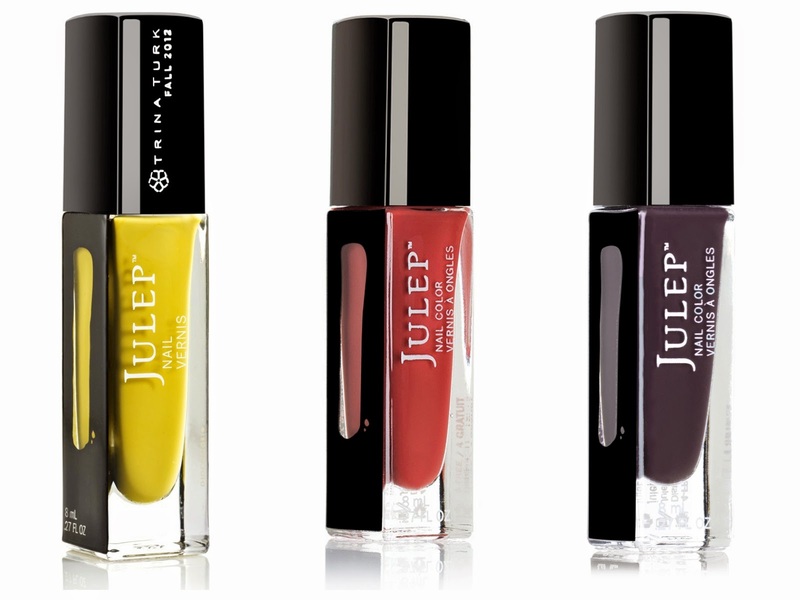 This was my first Julep purchase and will certainly be my last! I would call or email them, you definitely didn't get the value that was promised. They have had so many packing issues, it was probably just that. I emailed them today! I just hope to get a response since I have heard negative things about their customer service. It may take a while, I think their email responses are backed up to over a week, but you should hear from them. It may be faster to call if you can. Yes, I emailed them last Monday...got a reply yesterday! About a week! Mystery boxes are typically leftover products that they have trouble selling. I personally have stopped buying them for that very reason, but if you want to see the spoilers from the previous mystery boxes, they are all here. This is super helpful - I got version #1 but without Max, so now I know to send them a message about that! No problem! The other thing to do is add up the full retail price of your box and compare it to what they state the value will be. Because at least that's something they promise and have to make good on, where as the specific contents are not always the same for everyone! I purchased Olivia for $4.99 and added the $9.99 add on and got box #2. I just got it in the mail this morning. What a shock! I was expecting 3 polishes! Hah cool! Enjoy the goodies!